Mount Melleray is a functioning monastery of Cistercian monks. 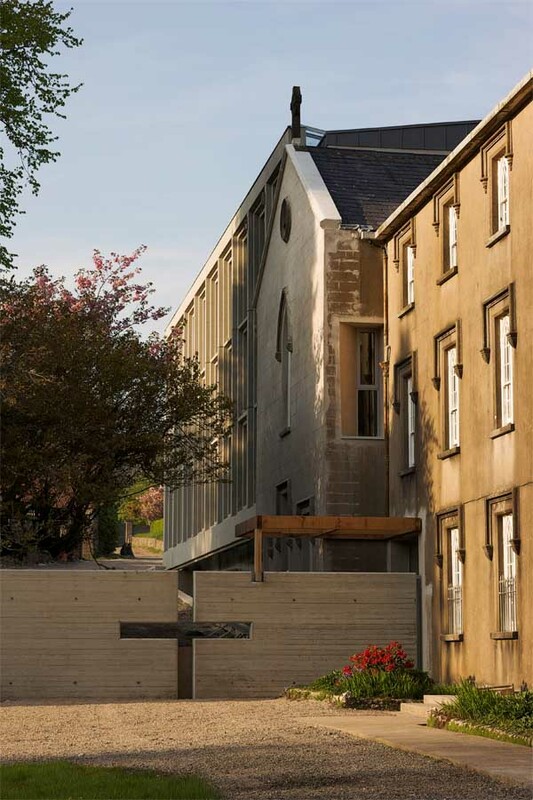 This project required the reordering of part of the monastery to provide a new accommodation wing for the monks. Until the advent of these new facilities, the monks, many of whom are elderly, lived scattered throughout the sprawling complex of mainly early 19th century buildings, with little or no amenities or modern services. The primary aim of the project was, by grouping them together under the one roof, to restore a sense of community and common purpose as well as provide basic comforts in self-contained rooms. The basic unit of the project therefore is the room, or cell. There are 27 of these, expressed as bays 9 long by 3 high, and each has a view to the West and the Knockmealdown mountains, overlooking the monastic gardens. Silence was a key component of the brief and several kinds of silence were required: The internal silence required for prayer, the external kind which is nuanced by the sound of nature; the silence which is focused by the sound of running water. 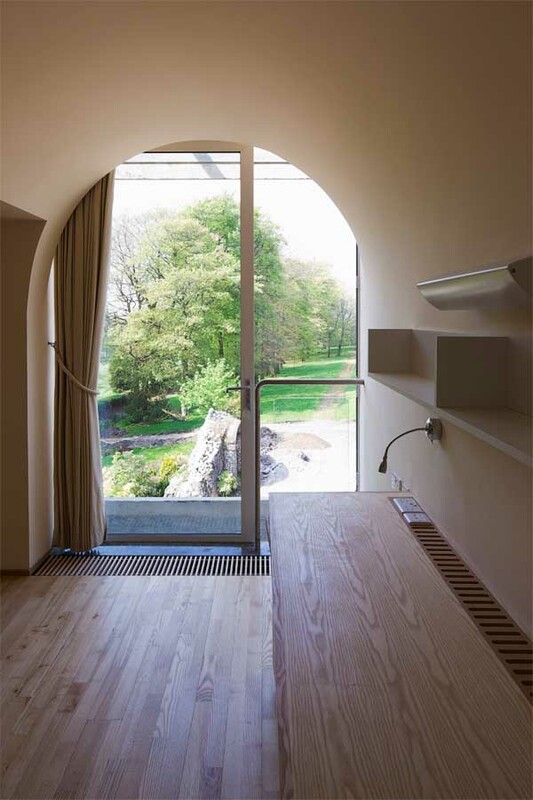 This new residential wing is located just inside the monastic enclosure, beside the newly refurbished guest house. 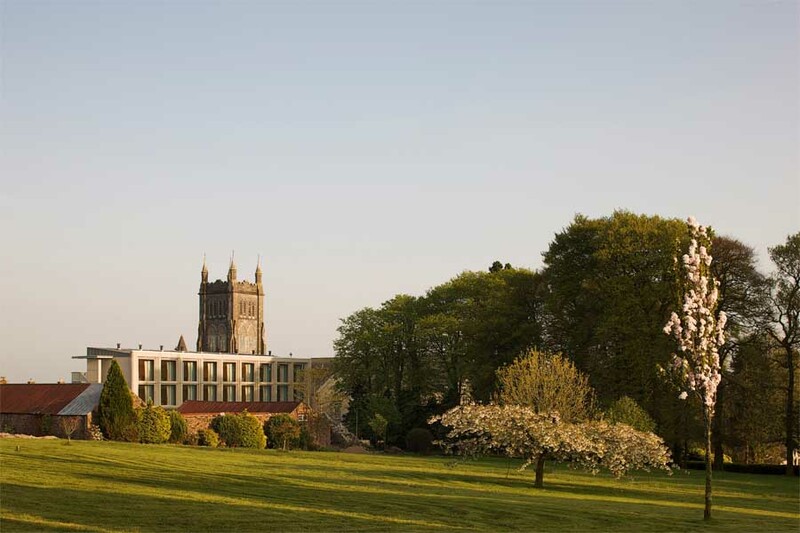 It is built on the partially demolished remains of an earlier dormitory building and is connected to the cloister through a reorganised lobby area within the existing refectory. 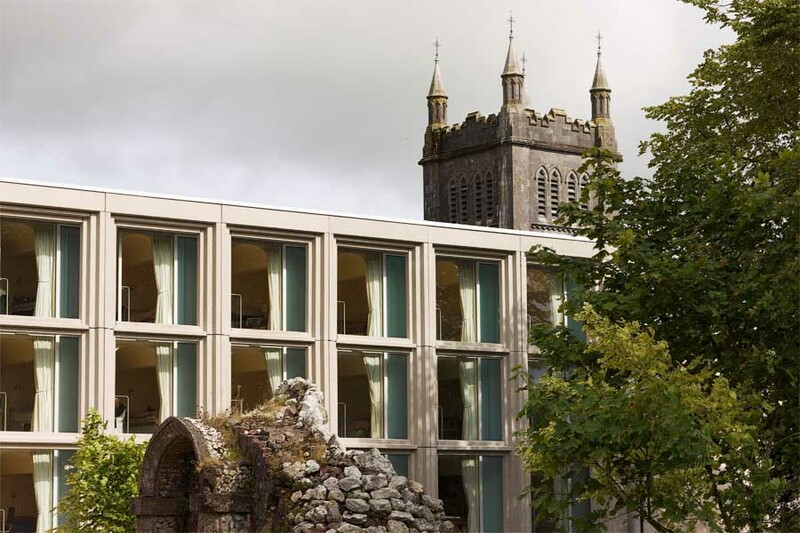 Along the internal approaches, the institutional feel of the existing building with its long corridors and poorly lit cloister has been softened and brightened by the introduction of glazed openings at the end of each axis, with views to the surrounding gardens. 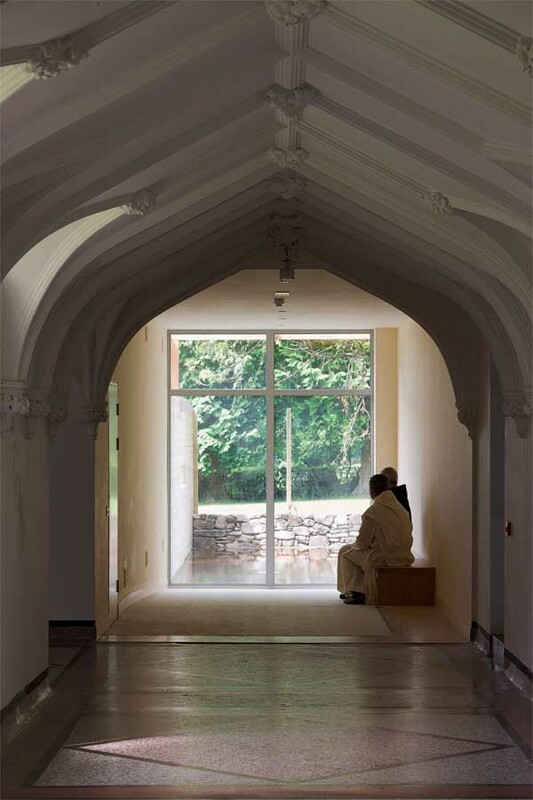 Apects of the monastic life such as rigour and community are expressed in the ordered layout of the cells and spaces while its contemplative nature is suggested by disconnecting the rooms from the ground plane and facing them westwards.